Sitting on the sofa bed with the air-conditioning switched on, I chill out in the study with cookie sitting beside me. We are watching TV (at least I am). Cookie rolls on her back, raises up her paws to reveal her tummy to me. 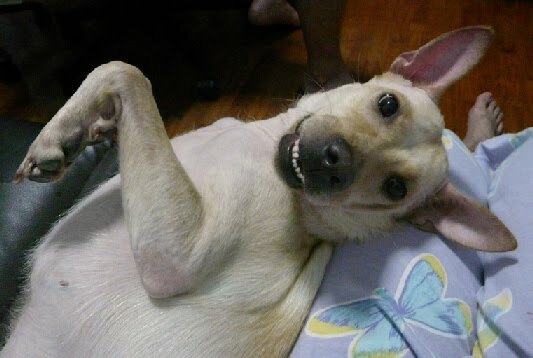 In anticipation of a comfy tummy rub, Cookie grins: " Come on, rub me!"